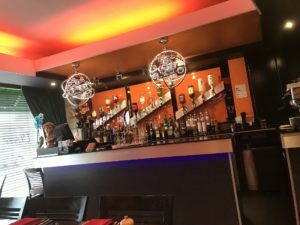 The Vivere restaurant in Stafford is now under new ownership after Babak (the owner) bought out his business partner giving the restaurant a new lease of life. 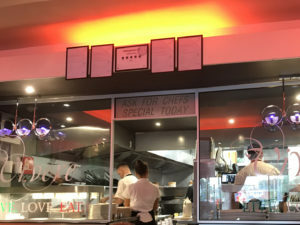 Myself and my family discovered Vivere after going bowling in the local bowling alley. My son who is gluten-free noticed the sign on the front of the restaurant offering gluten-free meals so we decided to have a meal there and i thought it was by far the best Italian in town. Very impressive service and food quality was outstanding. After chatting to Babak he mentioned you he was after an electrician for some jobs so Day and Knight Electricians in Stafford were more than happy to help. Every five years it is recommended you have Electrical condition report for your safety and the safety of others. This is basically like an MOT for building making sure there’s nothing dangerous that may injury you or anyone else. And are now glad to say the Vivere Italian restaurant has past the electrical condition report.While we were there they appeared to be having difficulties with their Alarm system so we upgraded this two. Then we changed the lighting to LED saving £££ on the electricity bill. I look forward to maintaining the Electrical standard at Vivere and having great Italian food eat in or delivery. It was a pleasure to have been able to support the Local family businesses and have enjoyed a lovely family meal at the restaurant. If you have not been in there, we highly recommend a visit soon. Gorgeous, fresh, Italian food and all served with a smile and kind heart. We’re not the only ones who think they are fabulous. In 2016 the eatery was a finalist in two categories, Best Family Restaurant and Best Pasta! Well done to all the team. Electrical Condition Reports for both domestic and commercial premises are very important and should be carried out 5 years. Click here for more information on Domestic Electrical Condition Reports from Which? and here for information from HSE website for commercial properties. This entry was posted in Commercial and tagged best electrician near me, Cannock electrician, commercial electrician, Commercial electrician near me, Day and Knight, day and knight electrical, day and knight electrics, day and knight ltd, Electrical Condition report, Electrical contractor, electrician, Find me an electrician in Stafford, litchfield Electrician, reliable electrician, reliable electrician Stafford, rugeley electrician, Stafford commercial electrician, Stafford electrician, Stone Electrician, uttoxiter electrician, Which? trusted trader.